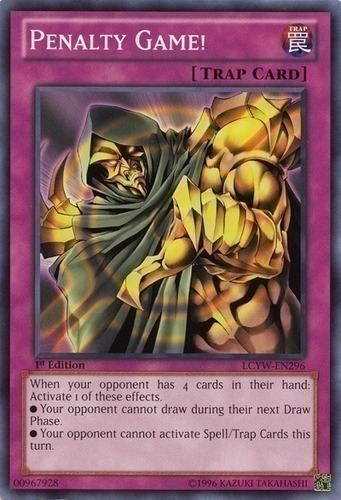 When your opponent has 4 cards in their hand: Activate 1 of these effects. ● Your opponent cannot draw during their next Draw Phase. ● Your opponent cannot activate Spell/Trap Cards this turn.